Parenting is full of surprises. Just when you think you’ve figured it out, your child will inevitably do something unexpected and throw you for a loop. Potty training is one of those times. Even your most carefully laid plans can’t possibly cover every zig and zag your child will take. But rest assured, you are in good company. Parents told us some of their most memorable potty training moments – and luckily, they can all look back and laugh at them now. And then there are those unanticipated events that work in your favor, like this story that Darcy from Brooklyn described. “My younger daughter wasn't seeming quite ready for underpants, but we were [out shopping] and bought a princess pack for when she was. Of course she demanded to wear them immediately. I put a pair on her, but she apparently didn't get that underwear was different from Pull-Ups, and peed as usual while climbing into her kitchen chair. She looked dumbfounded when the pee went all over and started crying." 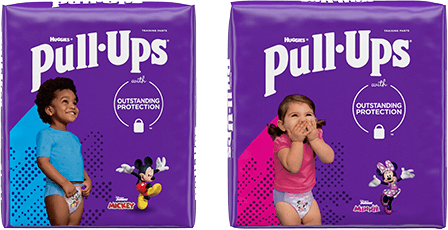 When you’re going through the potty training journey, every little set back can seem like a big deal, and it may feel like your child will never fully get the hang of it. But take it from veteran parents – those mishaps are just bumps in the road that you will one day look back upon with laughter, and maybe even a touch of nostalgia. Keep your sense of humor and make sure not to make your child feel bad about these “uh-oh” moments. Soon enough, your child will be potty trained and you will be sharing your own head-shaking stories with parents going through it for the first time.